Am so impressed with this . First of all the colours are stunning . Highly pigmented and so many looks and combinations are possible from four colours . It’s versatile . I can do a classic smokey , an everyday taupe or a shimmery glam . Super easy to blend . It blends like a dream . A great palette all round . 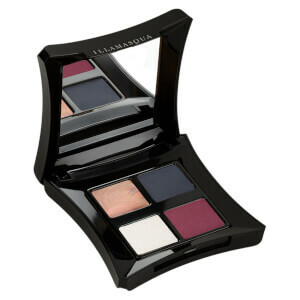 Beautiful highly-pigmented colours which work well whether used individually or together. Suitable for both a neutral look or a smoky, more dramatic effect. It's my first Illamasqua pallet, but won't be my last! Beautiful rich pigments that last for hours - matt where it's supposed to be matt, sparkly where it's supposed to be sparkly.